Sort: Place glass and metal in recycling bin. Keep Cardboard boxes and Plastic objects/containers and place them in separate boxes. Display or stack neatly. A bit like a shop. Dismantle. When you’ve had enough of your toys, simply dismantle, throw plastic and cardboard into recycling bin and keep your clay for next time. Start again at 3. or at 1. when you run out of rubbish. The fun never ends! Bottle caps: from drinks or from glass jars. Any plastic bottle (water, drink, shampoo, soap…) small enough to fit in a shoebox. Transparent plastic boxes used for packaging salad and vegetables. Want your own workshop, for a group of friends, or a corporate group, with a theme? 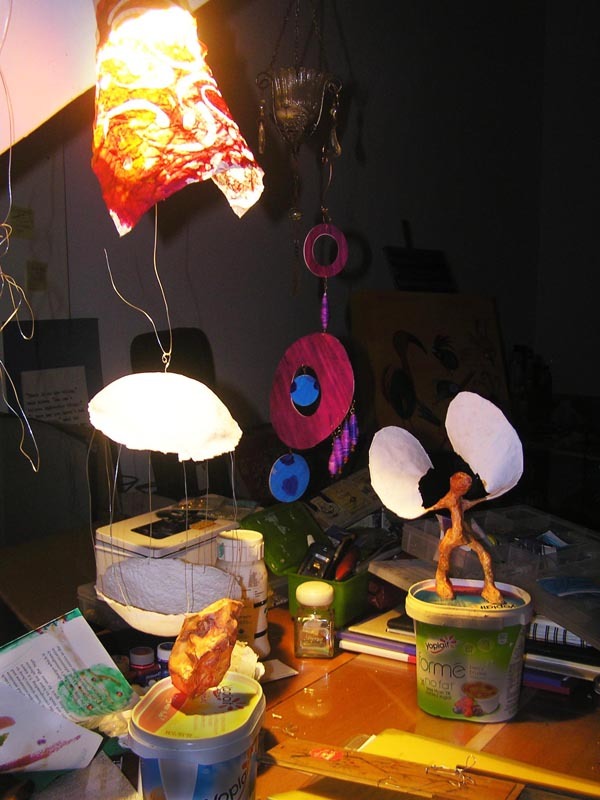 Sign-up for the special story-telling workshop, using recycled material. Who? 5-year old onward. Younger children (from 3) must be accompanied. How Much? $30 per pax. Includes some material. Gather your own recycled material for extra fun. If you are interested and have a group together (children from 7 years old or adults), please contact me (by phone: 92734991 or through the form below) to arrange for a private custom-made workshop. On s’est rencontre et meme exchange quelques idees possibles de ‘ workshops”…. et voudrais savoir si vous avez le temps de continuer Isadora et que nous vous recommendions aupres d’interlocuteurs locaux pour des workshops repetes ?? ?